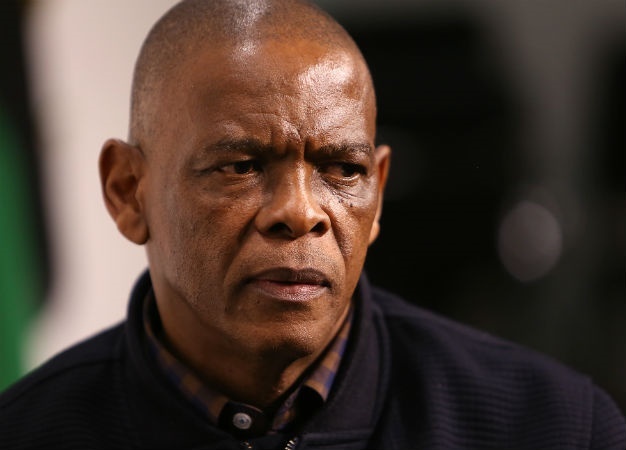 The uMkhonto weSizwe Military Veterans' Association has hit out at State Security Minister Dipuo Letsatsi-Duba, who it claims has attacked ANC secretary general Ace Magashule "without cause or reason". In a statement by the association's spokesperson, Carl Niehaus, he says it is evident Letsatsi-Duba peddled baseless lies on social media about Magashule when the secretary general was photographed looking through the ANC list in the Electoral Commission of South Africa's (IEC) canteen following an instruction by the commission to compare and check the party's electronic candidate list against the hard copies he had taken to the commission that morning. "For comrade Letsatsi-Duba instead to deliberately misinterpret an entirely innocent and above board photograph as part of the malicious lies that she disseminated on social media is unconscionable," said Niehaus. Niehaus said her failure to contact Magashule, who claims to have tried to reach out to her over two days, showed she acted deliberately and launched an "unsubstantiated, unfair and fractional" attack against Magashule. "As a long-standing member of the ANC, as well as an ex-combatant of uMkhonto weSizwe, comrade Letsatsi-Duba certainly knows better, and should be more disciplined," said Niehaus. Niehaus added that he was dismayed "one of their own would behave in such a manner". Letsatsi-Duba and Magashule have been on a collision course since claims emerged that the secretary general had tampered with the lists of candidates nominated to serve in the National Assembly and provincial legislatures, which were submitted to the IEC. Magashule has levelled the blame against the minister of state security based on her social media posts and has said he would ask for a public apology. According to Eyewitness News, Magashule was expected to haul the minister before the top six over the matter. The ANC secretary general labelled the attacks as "reckless" in a statement he released last week. Meanwhile the City Press this weekend reported that Letsatsi-Duba was also seeking to enlist the assistance of the top six in dealing with the matter, with insiders claiming she was due to set the record straight to all top leaders, including Magashule. The tensions between the two come as her department is thrust into the spotlight following President Cyril Ramaphosa's high-level panel review report into the State Security Agency (SSA), which is said to have been met with resistance by some elements in the agency who suspect the probe was designed to target associates of Letsatsi-Duba's predecessor, David Mahlobo, and the former director general of the SSA, Arthur Fraser.